Four ergonomic, easy grip handles. Easily assist in patient mobility or rehabilitation. Using a Gait Belt when walking with a patient offers an ergonomic solution for safe patient handling. Often caregivers prefer to use transfer gait belts to assist in proper techniques when helping patients walk or stand. We offer a full line of Gait Belts, allowing nursing homes and health care facilities to assist their patients properly while reducing the risk of injury to caregivers. 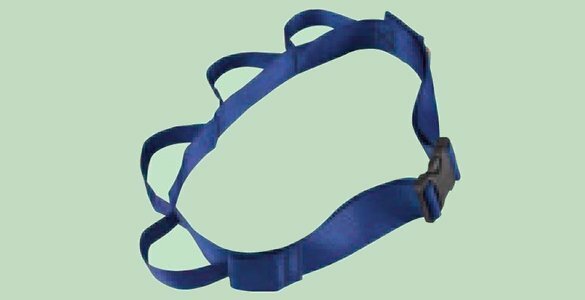 Our traditional Gait Belt gives the caregiver something to hold when assisting a walking patient. Not only can this protect the caregiver from injury, but it can also give a frail patient more confidence to walk unassisted, knowing that assistance can be given if needed.